Disciplinary Confinement (DC) is an abusive form of cruel and unusual punishment in adult and juvenile detention facilities. In certain cases, the use of DC is understandable. If there is some physical violence occurring, isolating the person or people involved may be required to maintain order. However, when DC becomes the punishment for common offenses, when no other form of remedy is sought, isolation becomes abusive and those using it, cruel. I was in a PC Support program at Holmes CI. These educational programs are voluntary. They require an application. Many times, there are waiting lists. I wanted to acquire a trade, so I enrolled. The course was great for a while until an officer, full of a sense of importance and power, began harassing us. Already under a lot of stress, I knew I couldn’t handle additional problems brought on by trying to better myself. To avoid incident, I requested to leave the class. The reason I had to give was that I couldn’t concentrate due to personal issues and I didn’t get along with my classmates. Neither were true, but to report an officer is to incur retribution. My request was denied. Future requests were put off, delayed or met with angry refusal. If I just stopped going, I would be sent to DC, so I chose a method that would gain me freedom from the class with the least problems. We had an email program that worked within the class. All emails were monitored. I sent an email disrespecting the instructor to another student. For all my efforts, I was still sent to confinement. I managed to talk my way out of it at the Disciplinary Report (DR) hearing after a week, but most aren’t so lucky. The only think that saved me was the fact that I sent the email to another inmate rather than disrespecting the teacher directly. This is just an example of how easy it is to end up in confinement. By no means is this the only stint I’ve had in a place like that. I know confinement well. Locked in a room nearly 24 hours a day, being denied any form of reprieve, causes common boredom to become extreme. Desperation and the sense of being lost, that devastating wanderlust that can’t be sated, wraps is icy fingers in a powerful grip around the human mind. This state is only worsened by the crushing weight of loneliness. The inability to interact coupled with neglect from guards and staff alike is enough to induce near insanity. 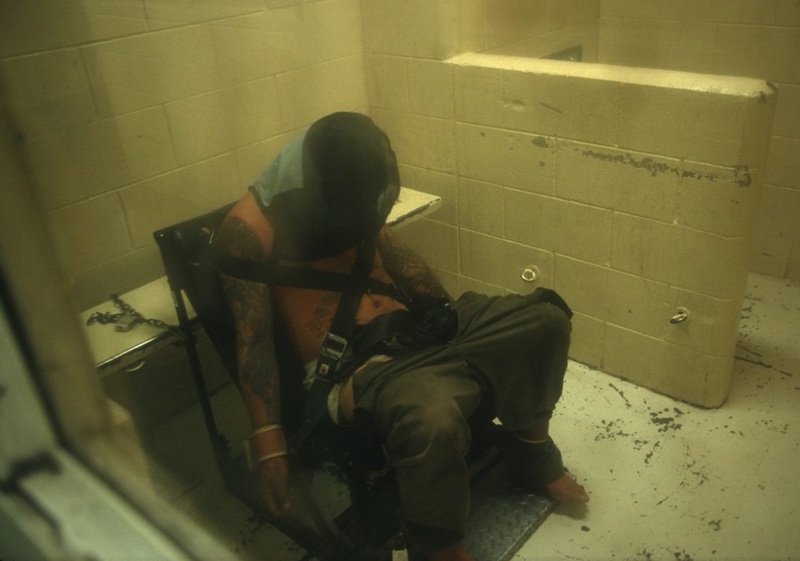 Discomfort, boredom, loneliness, neglect… DC is a torture chamber. I have seen guards yelling at and threatening people asking for help. Recollections of abuse and atrocities committed by guards for people only trying to have their rights respected by utilizing the grievance process brings me, even now, intense outrage and disgust. I have seen inmates beaten, property destroyed, letters “lost”, even the misuse of mace and pepper spray. Isolated and without access to due process, the depravity of the system is seen in the cruelty, the absolute power of the guards as they torture the helpless.